This compact and lightweight Carpet Sweeper is the perfect answer to a quick sweep. The perfect answer to a quick sweep without having to drag out the vacuum! Compact and lightweight, the Carpet Sweeper has an efficient rotating sweeping brush and the added benefit of easy-glide wheels. 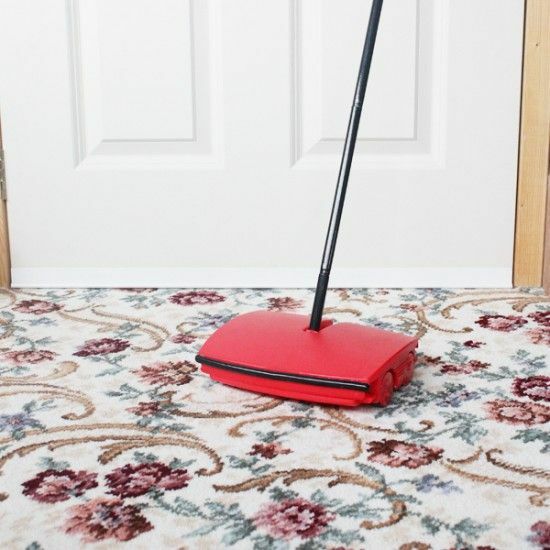 Also, no trailing cables makes the Carpet Sweeper a much easier and safer option to use and at less than 2lbs (900g) in weight, youll have no trouble lifting and moving it around. Not only that, the handle extends to 44 (112cm) to help access those hard-to-reach areas and also means no bending is required. There are no bags to empty or replace and no electricity costs to pay! This Carpet Sweeper really is cost-saving and eco-friendly. Once you have finished, simply open the two collection trays and empty the contents into the bin. It couldn't be simpler.